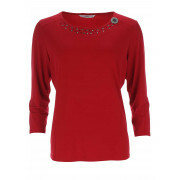 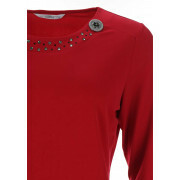 Update your evening collection with this stylish red top from Via Veneto which could be worn with trousers or a skirt. 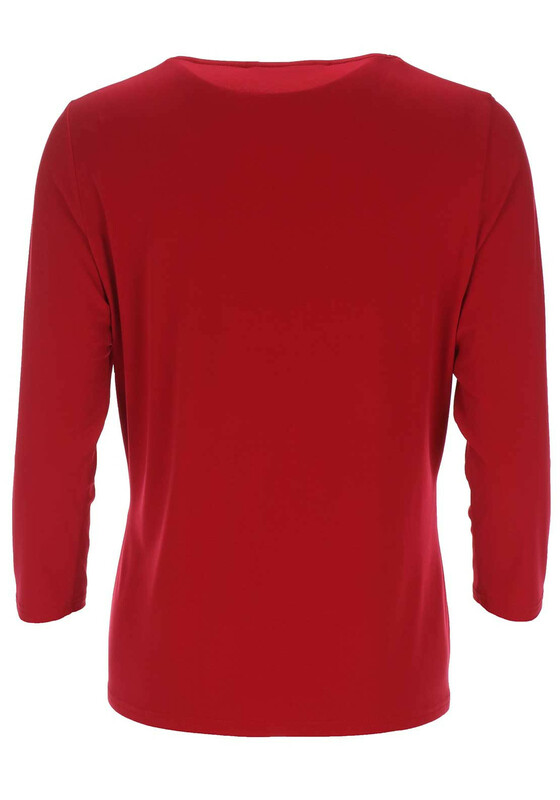 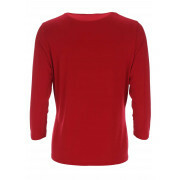 Designed with long sleeves and a round neckline and crafted from soft and comfortable jersey fabric. 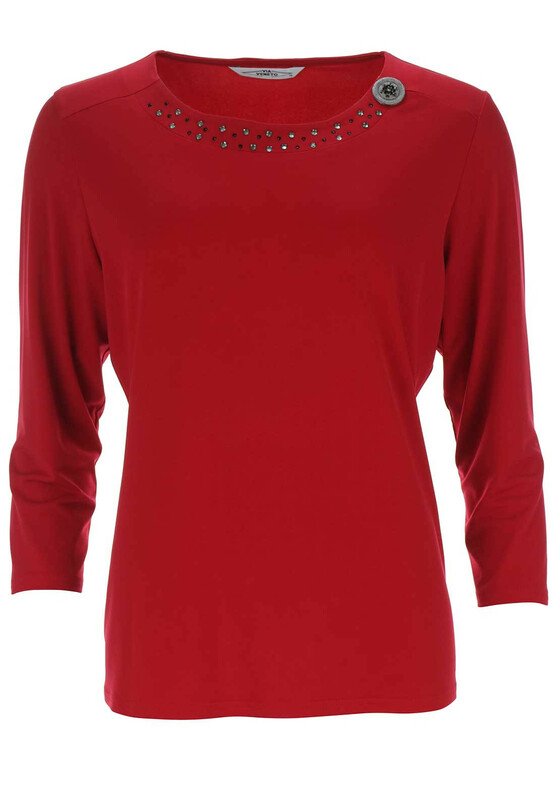 Featuring glamorous diamante embellishment and button detail at the round neckline.